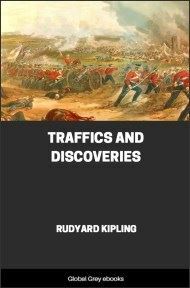 Kipling's eternal themes of war, colonialism, and cultural and racial conflicts are all addressed and explored in staggering detail in his masterpiece, Traffics and Discoveries. 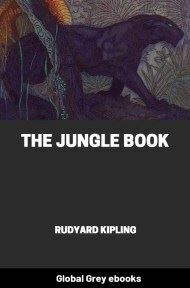 Written soon after the success of his imaginative Just So Stories, this collection of short stories won immediate critical acclaim. 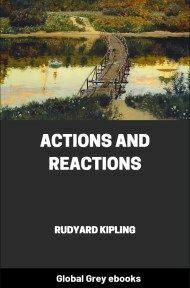 Powerful characterisation and vivid landscapes and settings combine to produce a series of evocative and memorable war stories. 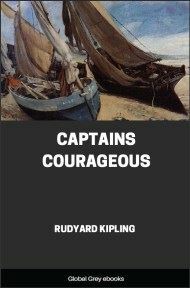 The guard-boat lay across the mouth of the bathing-pool, her crew idly spanking the water with the flat of their oars. A red-coated militia-man, rifle in hand, sat at the bows, and a petty officer at the stern. Between the snow-white cutter and the flat-topped, honey-coloured rocks on the beach the green water was troubled with shrimp-pink prisoners-of-war bathing. Behind their orderly tin camp and the electric-light poles rose those stone-dotted spurs that throw heat on Simonstown. Beneath them the little Barracouta nodded to the big Gibraltar, and the old Penelope, that in ten years has been bachelors’ club, natural history museum, kindergarten, and prison, rooted and dug at her fixed moorings. Far out, a three-funnelled Atlantic transport with turtle bow and stern waddled in from the deep sea. Here and there earnest groups gathered round ministers of the Dutch Reformed Church, who doubtless preached conciliation, but the majority preferred their bath. The God who Looks after Small Things had caused the visitor that day to receive two weeks’ delayed mails in one from a casual postman, and the whole heavy bundle of newspapers, tied with a strap, he dangled as bait. At the edge of the beach, cross-legged, undressed to his sky-blue army shirt, sat a lean, ginger-haired man, on guard over a dozen heaps of clothing. His eyes followed the incoming Atlantic boat. The visitor moved over against the barbed-wire fence and sat down to his mail. 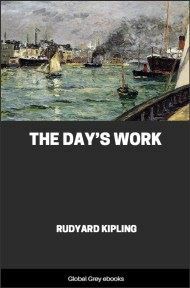 At the rustle of the newspaper-wrappers the ginger-coloured man turned quickly, the hunger of a press-ridden people in his close-set iron-grey eyes. “Have you any use for papers?” said the visitor. The visitor told the tale of the casual postman. “I’m on the free list,” said the visitor, nodding. 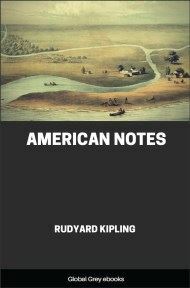 He extended his blue-tanned hand with that air of Oriental spaciousness which distinguishes the native-born American, and met the visitor’s grasp expertly. “I can only say that you have treated me like a Brother (yes, I’ll take every last one you can spare), and if ever —” He plucked at the bosom of his shirt. “Psha! I forgot I’d no card on me; but my name’s Zigler — Laughton G. Zigler. An American? If Ohio’s still in the Union, I am, Sir. But I’m no extreme States’-rights man. I’ve used all of my native country and a few others as I have found occasion, and now I am the captive of your bow and spear. I’m not kicking at that. I am not a coerced alien, nor a naturalised Texas mule-tender, nor an adventurer on the instalment plan. I don’t tag after our consul when he comes around, expecting the American Eagle to lift me out o’ this by the slack of my pants. No, sir! If a Britisher went into Indian Territory and shot up his surroundings with a Colt automatic (not that she’s any sort of weapon, but I take her for an illustration), he’d be strung up quicker’n a snowflake ‘ud melt in hell. No ambassador of yours ‘ud save him. I’m my neck ahead on this game, anyway. That’s how I regard the proposition. “Have I gone gunning against the British? To a certain extent, I presume you never heard tell of the Laughton–Zigler automatic two-inch field-gun, with self-feeding hopper, single oil-cylinder recoil, and ballbearing gear throughout? Or Laughtite, the new explosive? Absolutely uniform in effect, and one-ninth the bulk of any present effete charge — flake, cannonite, cordite, troisdorf, cellulose, cocoa, cord, or prism — I don’t care what it is. Laughtite’s immense; so’s the Zigler automatic. It’s me. It’s fifteen years of me. You are not a gun-sharp? I am sorry. I could have surprised you. Apart from my gun, my tale don’t amount to much of anything. I thank you, but I don’t use any tobacco you’d be likely to carry . . . Bull Durham? Bull Durham! I take it all back — every last word. Bull Durham — here! If ever you strike Akron, Ohio, when this fool-war’s over, remember you’ve Laughton O. Zigler in your vest pocket. Including the city of Akron. We’ve a little club there. . . . Hell! What’s the sense of talking Akron with no pants? “My gun? . . . For two cents I’d have shipped her to our Filipeens. ‘Came mighty near it too; but from what I’d read in the papers, you can’t trust Aguinaldo’s crowd on scientific matters. Why don’t I offer it to our army? Well, you’ve an effete aristocracy running yours, and we’ve a crowd of politicians. The results are practically identical. I am not taking any U.S. Army in mine. 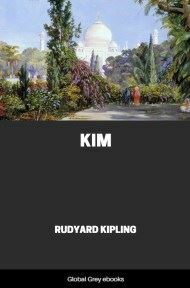 “I went to Amsterdam with her — to this Dutch junta that supposes it’s bossing the war. I wasn’t brought up to love the British for one thing, and for another I knew that if she got in her fine work (my gun) I’d stand more chance of receiving an unbiassed report from a crowd of dam-fool British officers than from a hatful of politicians’ nephews doing duty as commissaries and ordnance sharps. As I said, I put the brown man out of the question. That’s the way I regarded the proposition.